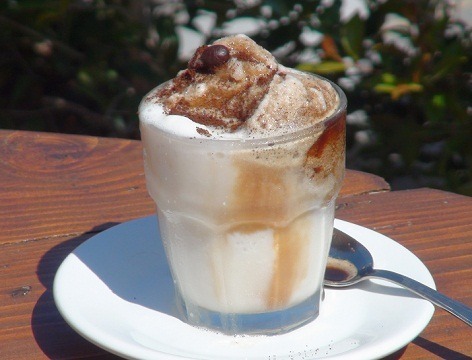 A typical breakfast for the Sicilians from the period of Easter until autumn is the âgranitaâ. It is more like crushed ice than ice-cream and is accompanied by a warm golden bun in the shape of a beret. âGranitaâ comes in many flavours: coffee, chocolate, almond, pistachio, or seasonal fruits like lemon, strawberry, mulberry and peach. Some people also add cream. A less healthy choice but very tasty.